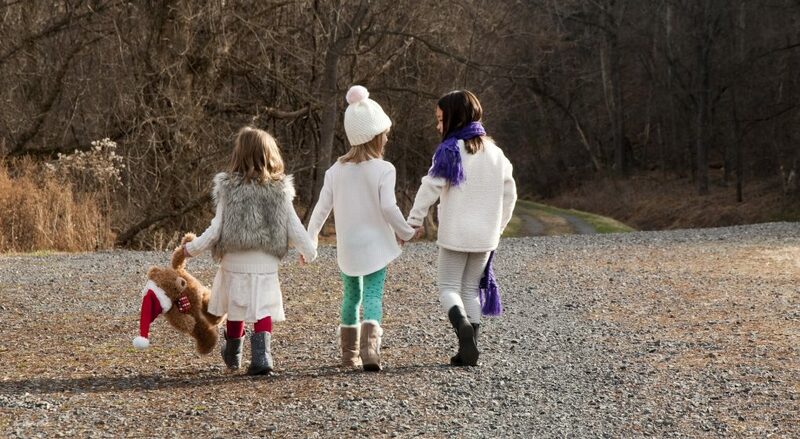 Tips for getting you and your kids some fresh air this Christmas Day – Get Kids Outside! One thing we always had to do as a child was to be aware not to disturb Santa when we got up, just in case he was still putting presents around the tree. We always had to wait until my parents had checked it was safe. Why not go one better and check for signs outside in the garden that he’s been before settling in to open gifts. 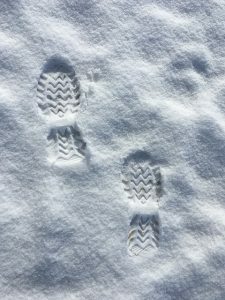 Perhaps he left some footprints or even sleigh tracks? Perhaps there was leftover carrots that the reindeer ate? It might be a very brief stint in the fresh air but it will be a fun memory maker! One thing we did a few years ago was to make a list of all the animals and birds we might see in the garden and strive to wish them a Merry Christmas. 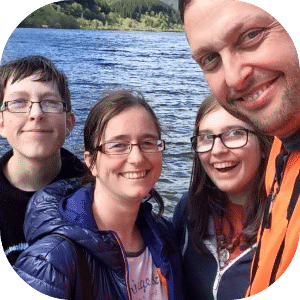 We made the list up on Christmas eve – always a day when I struggle to fill with enough activities – and the kids were really excited to spend a little time the next day (I’ll admit it was after the main presents were opened) finding some garden life to wish a Merry Christmas! Another idea which leads on nicely from the previous one is to decide on a nice feast that you can give the birds on Christmas day. A nice and specially made fat ball like this one is a good idea as well as spending some time really scattering a good helping of food around – got to make sure all the birds get their Christmas dinner! Outdoor toys are something I always encourage parents to think about including. It doesn’t have to be a big purchase like a bike, it can be something small and fun such as a kite or a remote control toy. If you have something that is designed to be played with outside then it’s the perfect reason to wrap up warm and give them a try out! 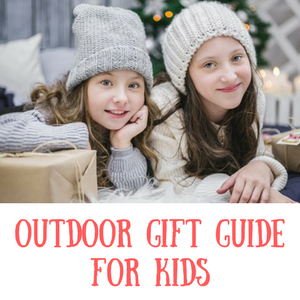 Here’s my winter gift guide if you’re looking for ideas for toys that will get kids outdoors. Finally, a pre arranged walk after the dinner has been eaten is a wonderful way to get kids to calm down and get some much needed air in their lungs and to stretch their legs. You could even arrange it for before the dinner if it will help the people cooking to get some time to prepare in peace. Perhaps take a walk and count how many Christmas trees you can see in people’s windows? If you have any great ideas for getting kids some fresh air on Christmas Day I’d love to hear them!